Home » COMPANY » Braglia®, flavour and genuineness of the Italian excellence. Braglia®, flavour and genuineness of the Italian excellence. 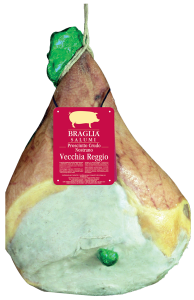 Braglia® offers the best tradition of Italian charcuterie. High quality raw hams, national and local typical delicatessen. First choice meats, quality of manufacturing processes, experience and care in seasoning contribute to obtain a full range of cutting charcuterie suitable for catering industry and renowned grocer’s. Braglia® merges the authenticity of tradition with the safety of modern production technologies: an excellent product both in taste and in quality! The different cuts guarantee a large offer of meats satisfying the expectations of the most demanding customers.